Summary: This is a great addition and a great extra for any hot tub, you could use a waterproof music system however this is designed to work well not only with the lay-z-Spa hot tub but is also easy to access from within the spa itself. It works well and if you are looking at having a few friends round for a hot tub party then music is a must! 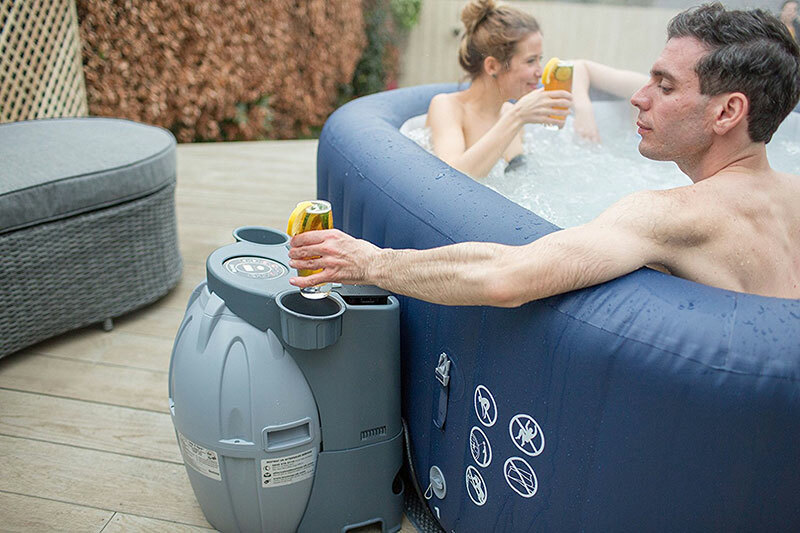 Lay-Z-Spa are one of the leading inflatable hot tub brands and create some fantastic spas perfect for your garden coming in a range of sizes and with different features. However whichever Lay-Z-Spa inflatable hot tub you have you can now add a music system to it with the Lay-Z-Spa Entertainment System. 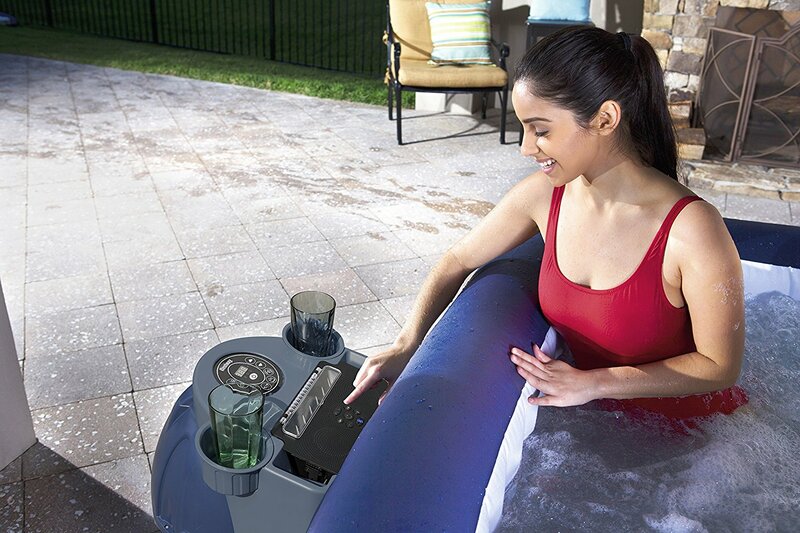 The entertainment system is an add-on extra you can buy for your hot tub, it is compatible with all hot tubs by Lay-Z-spa and works independatnly to the spa. Play music and make calls without having to get out of your spa or having to touch your phone. 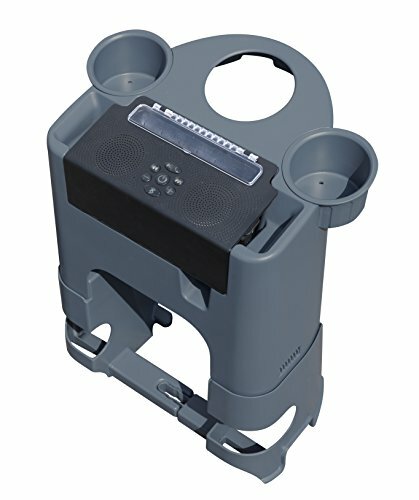 It is a plastic structure that will fit around and over your existing egg shaped pump system, while acting as a music system it has built in cup holders that sit either side of the opening for the hot tub pump controls. The music part of the system is a black section that uses rechargeable, built-in LiPo batteries, so no power lead is needed. As it has a rechargeable battery there is no need to run anymore power cables outside, just recharge it inside and away you go. The system is fully water resistant and supports Bluetooth 4.0 for music and phone calls. There is a handy compartment section designed to store your phone, although this is not watertight, the controls on the music system then allow you to adjust the volume or skip tracks. 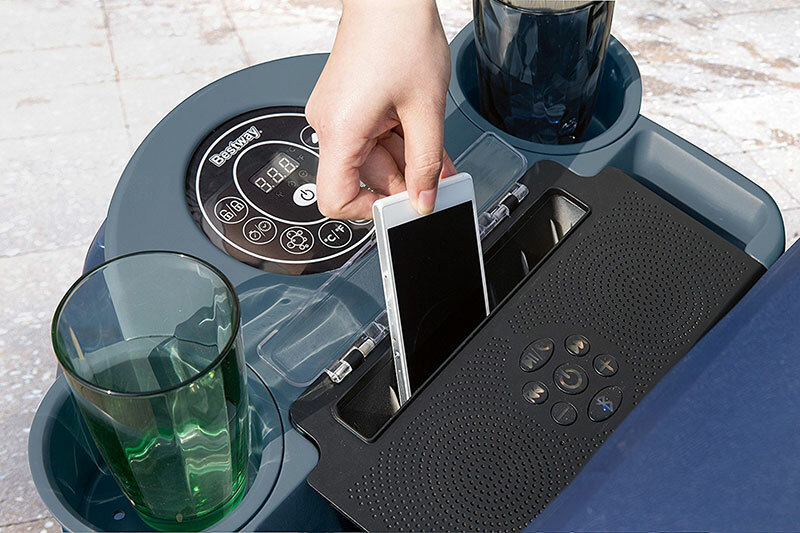 With the Lay-Z-Spa Entertainment System you can relax in your hot tub listening to relaxing music, or upbeat party tunes, or you can relax and catch up with friends over the phone using the Bluetooth phone connectivity. This music system is not compatible with the hydro jet hot tubs as the pump design and size is different. If you own the Lay-Z-Spa Paris air jet hot tub then you can use this music system to also power the LED lighting strip you have too. 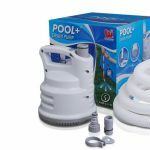 This is a great addition and a great extra for any hot tub, you could use a waterproof music system however this is designed to work well not only with the lay-z-Spa hot tub but is also easy to access from within the spa itself. It works well and if you are looking at having a few friends round for a hot tub party then music is a must!